One of the well-known American singer, songwriter and actress is Demetria Devonne Lovato who is famous as Demi Lovato. She started her career from the Disney Channel Series Barney and Friends as a child. Demi Lovato was born on 20 August, 1992 at Albuquerque, New Mexico, U.S. She was raised in Dallas. Her horoscope is Leo. Her father name is Patrick Lovato who is engineer and musician and mother name is Dianna Hart who is the former Dallas Cowboys cheerleader. She has an older sister name as Dallas. She also has the maternal half-sister name as Madison De La Garza and the paternal half-sister name as Amber. She is 16 percent of Scandinavian descent and one percent of African descent. She also like playing piano and guitar so at the age of seven she played piano and at the age of ten she played guitar. She also joined dancing and acting classes. She began her career as Angela on children’s television series Barney and Friends. Demi Lovato’s height is 1.61 m and weight is 55 kg. her hair color is dark brown and eye color is of also dark brown. She has the wavy hair which is thick. She has the well-shaped body. Demi Lovato played Charlotte Adams on Disney Channel short series in 2007 and 2008. She also auditioned in the television film during 2007. She played the lead character as well in Camp Rock. In 20 June, 2008 she premiered the film as well. On 23 September she released debut album which was Don’t Forget. The album was certified gold by the Recording Industry association of America. Demi Lovato recorded the theme song for Disney’s Friends for Change with friends the Jonas Brothers, Miley Cyrus and Selena Gomez. Her second album was Here We Go Again which was released on 21 July, 2009. She made her first 40-city national concert tour, Live in Concert in support of Here You Go Again. On 21 June to 21 August 2009 she received the Choice Music Tour award at 2009 Teen Choice Awards. She premiered on 3 September 2010 on The Final Jam. She released the soundtracks which was released on October 5. Demi Lovato released her third album Unbroken on 20 September,2011. It got the commercial success at it was at number four on the Billboard 200. It was also gold certified. The song was also certified three times platinum by the RIAA on April 2014. She also became the judge for second and third season of the American Version of the X Factor. The album Demi was released on 10 May,2013. The album debuted on number three on the Billboard 200. It was also gold certified in the US. She released an e-book Demi on iBooks on 11 June. She also released a deluxe version of her fourth studio album. She also announced her skincare line called Devonne by Demi to be available in December 2014. On 24 December 2014 she released a music video for her song. 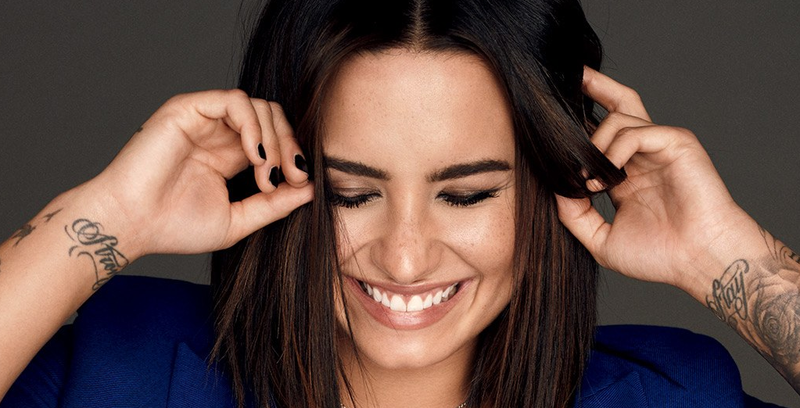 Demi Lovato released fifth album Confident on 16 October, 2015. The album debuted on number two on the Billboard 200. The album was also certified gold by RIAA on July 2016. She released a new single titled Body Say on 1 July, 2016. In March 2017 she also featured in song. She also announced the collaboration with sportswear. She also released new single titled “Sober” on 21 June. Demi Lovato was linked to Camp Rock co-star Joe Jonas during the Disney Channel Star but it didn’t lasted more. It was her serious relationship so after the breakup she got mentally ill and was treated at the Chicago Psychological Aid Center for three months. Then she was in relationship with actor Wilmer Valderrama from 2010 to 2016. And again on October 2016 she was caught dating the singer John Mayer. But in 2018 her heart is still free. Demi Lovato net worth is estimated to be $33 Million.